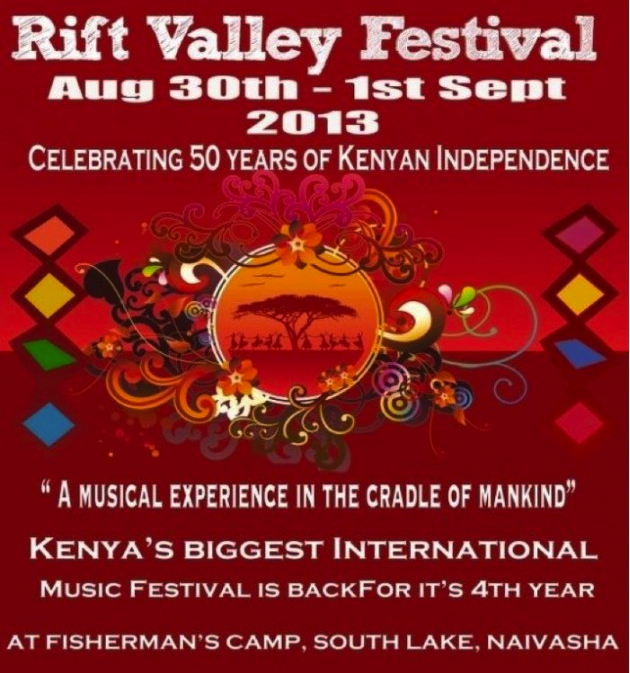 The Rift Valley Festival is a place for original musicians to showcase their unique sound. From the product they produce, it comes as no surprise that the event organizers are festival experts who have worked in both Europe and Africa. When one of them was asked how they make money from this festival they said that they are sustained by other European festivals. So what makes it so good? Effective communication between staff with clear roles and responsibilities, logistical precision and good customer service are the backbone of the Rift Valley Festival. In real terms the RVF is still a toddler, creatively exploring its environment. That said, the orginisers are committed to evaluating and reflecting on their shortcomings. Rather than being satisfied with being a consistently ‘good’ product, they are an inspired team that looks to refine their event. There have been challenges to maintaining this annual event. Last year a major sponsor pulled out at the last minute, leaving the festival with a huge deficit. However, they have managed to attract sponsors by understanding that in order to produce a good festival attention to detail is vital. Now four years old, this year’s sponsors included Blankets and Wine and Heineken. One area of improvement that shows is lack of artistic representation from artists that reflect the full scope of the Rift region’s musical diversity. Like most things, this is subject to budgetary constraints; however there is a definite need for outreach and networking in order to find out what artists in the Rift region are doing and how their sounds can be weaved into future programmes. This year there was only one band from Uganda and their representation was on a recommendation from a personal association to the event organizers. Will performing at the Rift Valley Festival help my career? The question has been asked from countless Ugandan artists. They want to know how they can get involved and what the criteria is for selection? For most artists looking to develop their fan base, network with influential people and get paid, these questions are valid. If you are an artist who is not afraid to ask questions, can talk about your music without arrogance but enthusiam, is interested in people and open to learning through interaction with fellow artists whose musical approaches maybe different from your own, then the RVF is definitely the festival to perform at. A platform like the Rift Valley Festival can be used to strategically develop ones career, but it is dependent on the vision of the musician. There is no point in going there to just collect contacts. One must follow up with emails or phone calls in order to develop relationships or explore future collaborations. Attending as a listener is also legitimate because a lot of business is conducted in the social environments where artists and orginizers eat and drink together. Any person can get the relevant information for inclusion in the festival if motivated to so, but ultimately it’s upon the musician to have a plan of action and goals they want to achieve when attending the RVF. The Rift Valley Festival won’t do that for you. As independent artists not backed by sponsors or a record label the onus is on the individual or group to make the RVF beneficial. The RVF provides direct access to a listening audience who, if they like your music, are prepared to pay for it. This is found in the tent that is dedicated to the sale of artists’ music. For the unsigned artist this is crucial because it represents a stream of income which can offset the costs of traveling to Kenya. 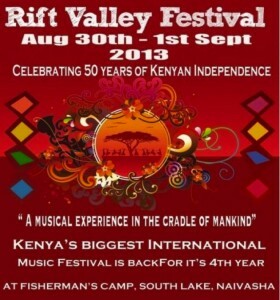 I would encourage musicians outside Kenya to make an investment in attending the RVF. Sometimes you have to pay to gain. Unfortunately one has to prove what we have to offer is good enough to be showcased. It also means outside musician’s need to challenge themselves to create original music instead of playing covers of other peoples’ songs. Ultimately it’s a risk, but it is a way to push oneself and represent all corners of the Rift. Ife Piankhi is a musician, poet and Creative Facilitator at In Movement: Art for Social Change, Kampala.